Apple did well for the fourth time with the smartphone customer satisfaction survey done by J.D Power. Rankings depended on performance in several key factors; for smartphones, those factors wereâ€”in order of importanceâ€”ease of operation, the operating system, physical design, features, and battery function. Apple scored 800 out of 1000 in the ranking. 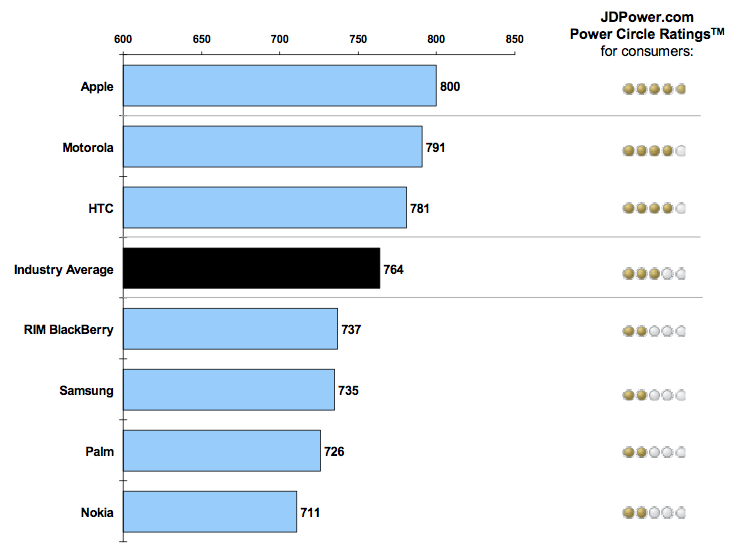 [Macworld] – iPhone tops J.D. Power survey for fourth straight time.